Make your gift stand out with this Large Red Gift Bag with the university wordmark printed in gold on the side. Make your gift stand out in this royal blue gift bag with the university wordmark printed in gold on the side. Give your man-cave or basement some UD spirit with the League® Flyer Fanatic Tin Sign. Measures 12" x 5" and features aluminum support cable for easy hanging. 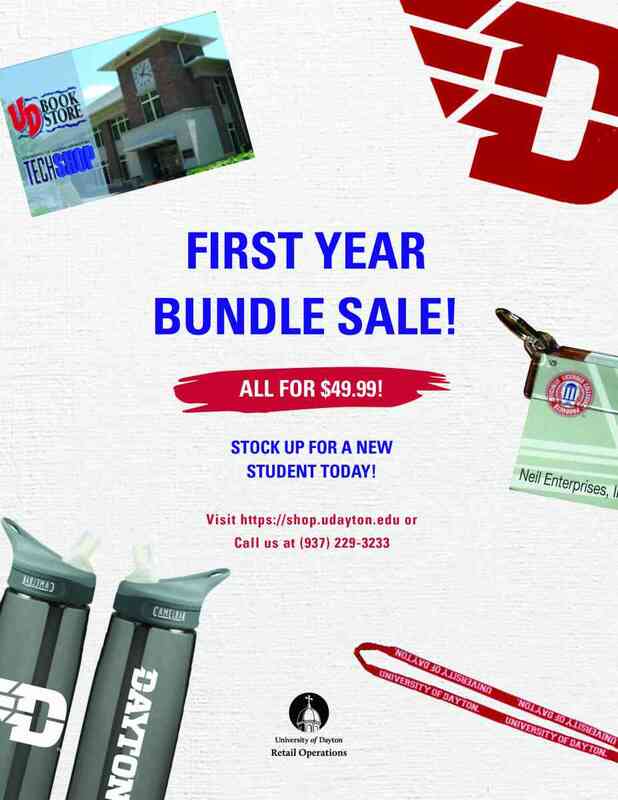 Measuring 11'' x 23" let your UD friends and family know they are welcome in your Flyer-loving household. Featuring a premium 100% cotton twill fabric, wash and designed with a smaller fit for a woman's hat. Using an antique brass metal clip, the memento photo holder is the perfect gift to capture a day of great memories made with best friends and family. Use it to hold a photo, stadium passes, or event tickets so that reliving the moment in time is just a glance away. 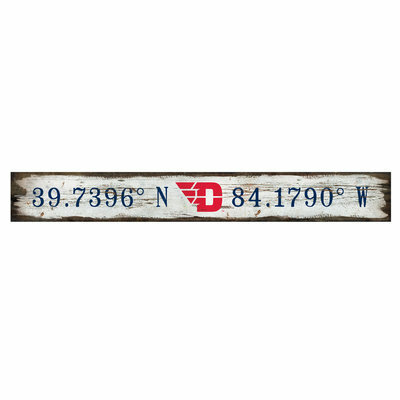 Dress up the rustic mood of your beach house, getaway cabin or basement college game room with the Legacy® Dayton Flyers Mini Canvas . 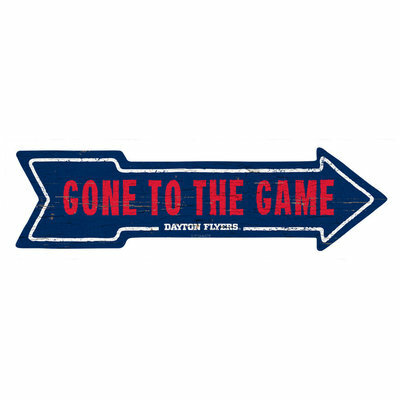 Our vintage-inspired mini canvas wall art features graphics customized to the Dayton Flyers. Nothing says home sweet home like our Legacy® Dayton Latitude Longitude Doorway Plank. The washed Legacy® Dayton Old Favorite Adjustable Hat is sure to be your go-to cap. The worn design features a plastic adjustable closure. Get that stylish preppy look down with the Legacy® Dayton Prep Hat. 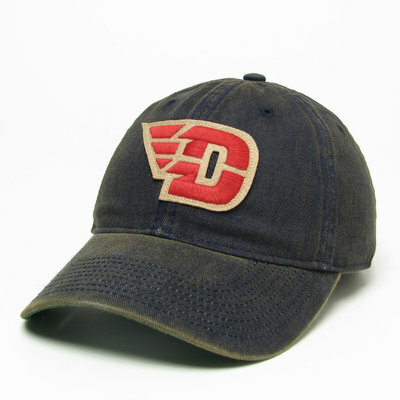 Crafted from stonewashed cotton twill, this classic hat features the D-Wing logo. Six-panel construction with embroidered eyelets at the crown. Play ball in style while showing your Dayton spirit in this sporty hat. 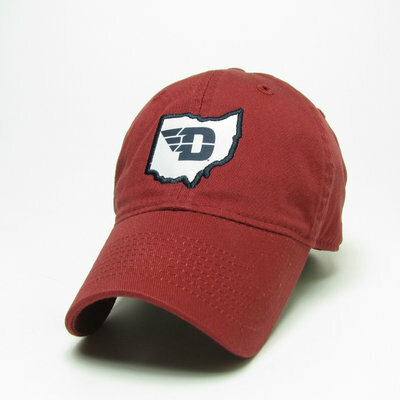 The soft cotton twill hat features Dayton and sport across the front and D-Wing logo on the left temple. 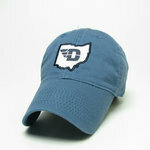 Show not only your Flyer pride, but your Ohio pride in this fashionable adjustable hat by Legacy®. The patch of Ohio that displays the Flying D-Wing logo adds a new twist to the typical baseball cap. Inspired by the classic college pennants of yesteryear, the Legacy® Dayton Varsity Canvas Pennant is a showcase piece for the wall in any dorm room or man cave. 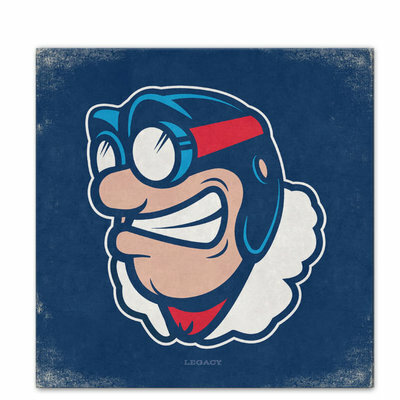 It's the perfect addition to the room where you like to watch UD games - the Legacy® Rudy Flyer Mini Canvas Print. 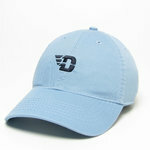 If you're like Rudy and like to cheer on UD, this is the hat for you! 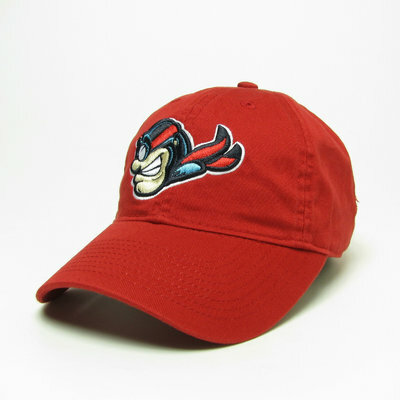 The League® Rudy Youth Adjustable Hat is perfect for the young Flyer fan. This LogoChair® Dayton Flyers Youth Tailgate Chair is designed for the big kids who are still a little too small for our Canvas Chair. Like our Canvas Chair, the youth chair is made of 600 denier polyester material in red and blue with Dayton on the front and back. You will love sitting next to your little Flyer fan in matching chairs! And the little fans will love showing off their team spirit as well in the LogoChair® Dayton Flyers Youth Tailgate Chair. Everybody loves Rudy Flyer, you do too! Take Rudy home with the Mascot Factory® Plush Rudy Flyer. Get your head in the game with this Dayton spirit wig. Stand out in the crowd and cheer on the Flyers to victory. Please specifiy red or blue in the comments. 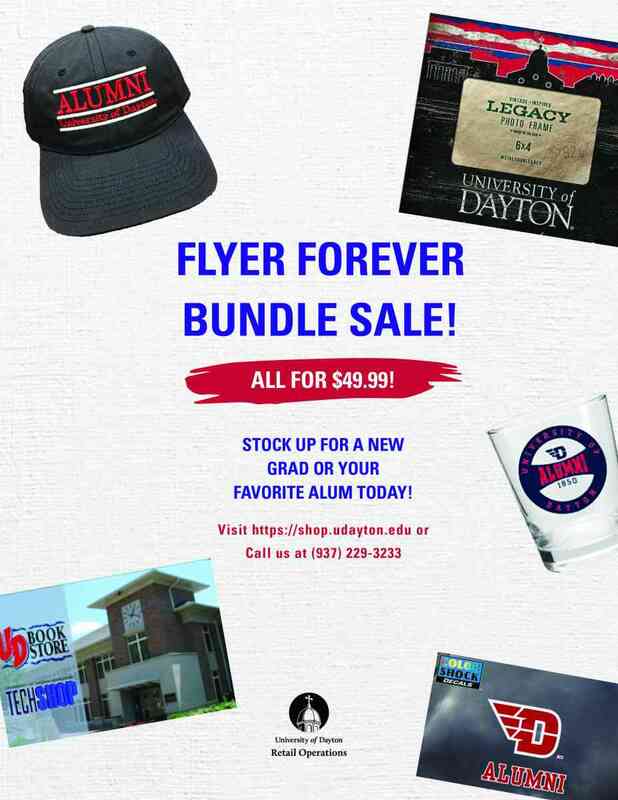 Put your fandom front and center with the MV Sport® Dayton Flyers Classic T-Shirt. The ringspun cotton t-shirt offers a supersoft feel with a decorative Dayton Flyers mark printed across the chest. 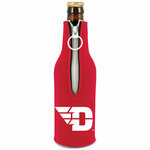 Keep your drinks chilled and you Flyer spirit front and center with this Neil® Dayton Bottle Koozie. This coozie sports the D-wing logo which will allow you to sip in style. Travel in style with this embroidered luggage tag. This luggage tag features the Flying D-wing logo so you can represent your Dayton Flyers no matter your destination. Keep organized and on schedule with the Neil® Dayton Flyers Dry Erase Corkboard. Measuring 11" x 14" the board offers a set of magnets, dry erase marker and mounting squares on the imprinted board that shows your Flyer style. Tell the snow and ice to hit the bricks when you've got the Neil® Dayton Flyers Ice Scraper. The molded plastic ice scraper is conveniently sized to keep in your car for those rough winter days when you need to drive around and keep the car winshield ice-free and clean.